Update your present air conditioning system by switching to the much more efficient Sanden (R134A) system. 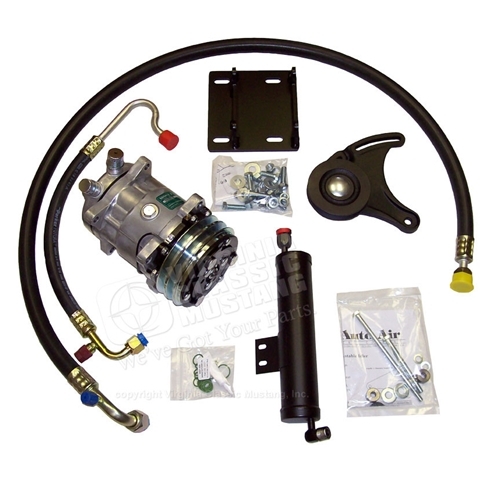 Kit includes new Compressor (pictured), all adaptor brackets, both hoses and filter-drier. No other parts to buy. Just install and charge system! Eliminates vibration and belt slap. Half the weight of the original compressor. No modifications required for installation.Tremendous improvement over original compressor. Shipped directly from manufacturer.